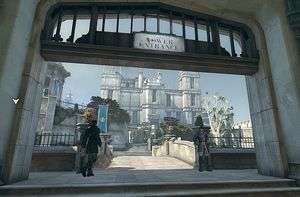 In this day and age, having something truly different and new can be something of a rarity, and it’s for that reason that Dishonored has been oft-lauded; the promise of an ambitious first-person action-adventure where stealth is a premium and the end-game is possible to reach without killing a single person is one you’d be right to question. That Dishonored can and does exist in the current marketplace, and is backed by a wave of hype is nothing short of a modern miracle. After falling in love back at Gamescom and awarding it my Game of Show, I couldn’t wait to make like Dunwall’s plague rats and gnaw away until nothing remained but sinew and bone, and ravenously devour I did. Your protagonist is Corvo Attano, bodyguard of the Empress of Dunwall and recent traveller, as you return from the neighbouring islands in Gristow in a search for assistance against the rat plague that is slowly disintegrating your beloved city. Bad soon turns to worse, as magically-imbued assassins take out Dunwall’s ruler, kidnap the heiress to the throne and leave Corvo looking incredibly guilty of a crime he didn’t commit. Six months pass and the island is thrown into disarray in the absence of the Empress or her daughter; her replacement (and the man who framed you) has caused an Orwellian nightmare and a new divide between rich and poor. The former are able to afford elixirs to prevent the contraction of plague, and the poor have slowly been succumbing to the disease and contorted into weepers; late-stage sufferers not unlike zombies, bleeding from the eyes, puking without provocation and carrying the overwhelming stench of death. 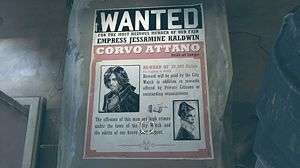 Salvation is at hand, and on the day Corvo is to be executed he finds the key to his cell hidden beneath his last supper, explosives primed by a nearby sewer and a loyalist conspiracy aimed at clearing your name, disposing of the usurper who sullied it, and finding the heiress to restore the Empress’ lineage. You become blessed by a benevolent power known as the Outsider, granting you an array of magical abilities, and the plot soon eases into a typical tale of revenge, allegedly bolstered by the moral choice system that does much to drive the main impetus of Dishonored’s central mechanics. The outcome of Corvo’s missions are dictated by the amount of chaos he causes in each outing, with rising levels contributing to the prevalence of plague-infested vermin, civilians having a less-than-neutral reactions to your presence and increasingly darker endings. Keeping the chaos to a minimum means hiding any bodies you incapacitate, rendering enemies unconscious rather than dead, and remaining undetected as much as possible. It’s an intriguing mechanic that will do a lot to dictate your resulting play-style, and in my case inspired a non-lethal ghost run. It’s advisable to know exactly how you want to play Dishonored before you sink your teeth in, as each magic power can only be acquired and levelled via the acquisition of runes; pieces of whalebone carved with the insignia of the Outsider scattered throughout each level alongside bone charms, which serve to add subtle changes, like faster movement when weapons are drawn, quicker choking speeds or the ability to restore magic by drinking water. Aiding in your search is a mechanical heart that points out the location of both runes and bone charms, as well as delivering chilling messages at your provocation, though be warned that it’ll only show their exact locations, leaving it to your discretion to decide the optimum path to take. Many of these collectables will be impossible to grab until you possess a particular skill set, while others involve an incredibly calculated risk that you might not be able to justify, and as such it’s unlikely you’ll be have a fully-levelled Corvo ready to unleash hell at a moment’s notice by story’s end, hence the urgency in knowing how exactly to level up to achieve your goals. The non-lethal run in particular demands that the ability to bend time and possess are fully-upgraded by the fifth mission if you want to come up trumps during a particular side-quest, unless you choose to bypass it entirely. The magic powers at Attano’s disposal involve the aforementioned possession and time bending, which can be upgraded to stop time entirely for a few seconds and take control of humans, whilst others will let you see through walls, teleport short distances, summon a horde of angry rats or control powerful gusts of air that, rather than conjure a level of flatulence, can be used to destroy doors and knock enemies off their feet. Each requires multiple runes to even unlock, let alone upgrade to their upper echelons – the bend time ability takes eleven of the trinkets to fully stop time rather than slow it to a crawl, and their use will also deplete your mana reserves. The mana meter will replenish itself enough that you will always be able to teleport or see through walls, but the higher-maintenance powers will require you to hunt down and gulp down elixirs to provide enough energy to utilise. 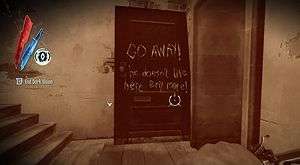 When aiming for a low chaos level where stealth non-lethal solutions were always the course du jour, an uncomfortable crack or two began to appear in Dishonored’s veneer. An entertaining piece of media, regardless of medium, can still have flaws and mechanical issues, but the best ones hide them well enough that you’d never notice. Unfortunately, some tend to start looking uneasy under scrutiny, and it can often be the case that once you notice something you’re not meant to, it can soon be all you see. In Dishonored’s case, I didn’t notice it until the second mission when my attempts at stealth would be thwarted time and again. At first I put it down to my own skill; surely I just wasn’t studying the sentry paths enough or hiding the bodies in adequately concealed areas, but when I started paying more attention I realised that, in the early missions at least, the stealth is actually predisposed to you getting caught. Like the mega-selling war shooters of our age, more enemies will appear once an indeterminable and invisible line has been crossed, and in Dishonored’s case, the remaining guards will change their patrol paths. Meticulous planning can and will often go awry because the moment you step into that corridor an enemy will suddenly appear and stumble across the room where you’ve hidden all the bodies, whilst a guard can pace around a building for five minutes, but the moment you enter it he’ll change his route to do likewise despite no previous inclination to do so. It can be defended as saying that it adds an extra level of tension, and I’ll admit that it often does so, but it’s far more likely that you’ll find yourself being punished and having to replay chunks of each mission because the game suddenly changes the rules without telling you. It’s an issue exacerbated by inconsistent AI that can spot you across the map but is completely unable to see you if they’re in the middle of a canned animation. Couple this in with context-sensitive button presses that don’t always show up when you need to and require a much tighter frame of activation than they should, and failure is a punishment served frequently to those who don’t save often. This’d all be worth it if there were more visible outcomes to how you play, but while Dishonored’s dialogue and story do an admirable job of remaining morally ambiguous, there’s too much of a disparity between the dialogue referring to Corvo’s actions and how you’ve potentially played the game. 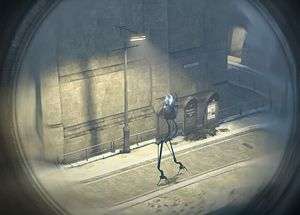 This jarring effect is most evident in a non-lethal run where you’re never seen, as everyone knows that a man in a mask is pulling off all of the crimes, one particular character will curse Corvo’s name later on and allies will constantly act as if targets are being murdered outright even if all evidence points to the contrary. The only way you’re made to feel as if you’ve made a difference is through runes and letters posted by Corvo’s bed, which leads to one morally sickening moment where you’re actually rewarded for sending a target away to be potentially sexually abused at the hands of an obsessive suitor, rather than stick a sword through her neck. The conscience of some players will feel uneasy at that morally-unscrupulous method, and it may serve to undermine one of the most clever and intelligent missions in the entire story. Dishonored is at its best when you’re given a target to take down and an arsenal of tactics at your disposal to do so; the litany of options and the amount of freedom bestowed upon the player is truly something to commend, and during these missions Arkane provide missions that will ingrain themselves on the consciousness of its audience for a long time to come. Playing stealthily even provides its own meta-game – avoiding each encounter becomes a puzzle waiting to be solved, and the satisfaction of success becomes a reward in its own right. Sadly, the latter half of Dishonored eschews the creativity of the former, becoming more tightly wound and about going from point A to B over disposing of targets in a myriad of methods. Giving players more open-ended missions to start with then closing them in to more linear affairs confines the true potential that the title holds, and left me wanting for more. The nine story missions will take well over an hour each to finish, but I couldn’t help but pine for another outing more akin to the assassination-styled levels instead of those meandering to the end, as doing so would help fully realise the potential that threatens to spew from nearly every orifice the title could conceivably have. While the missions and gameplay are often steeped in creativity and inspiration, the same can’t be said for the story itself. 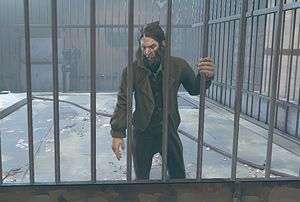 While Dishonored starts strong, there’s barely any real story to speak of; there’s a predictable twist, an implied aspect to your character that’s issued too forcefully to be suitably ambiguous and the Lord Regent who put you behind bars is a card-carrying villain who is almost so cartoonishly-evil that all his cards may as well read “I am the bad guy” in huge capital letters. Even the ending feels a bit phoned-in thanks to a disappointing “narration over still images” presentation that doesn’t serve to vindicate most of your actions beyond a single line or two. The Outsider provides some chilling monologues that serve to add to the air of ambiguity to the actions of Corvo and those around him, but given that his shrines have to be hunted down to witness them, players could conceivably complete the game and never hear them. The Loyalists you align yourself with may disappoint; more characterisation and personality should have gone into their motivations, and even the journal and audio-graph entries you can discover don’t do enough to punctuate their actions as much as the events require. The notes and journal entries you can find scattered throughout Dunwall are to be applauded however, as they do as much to populate and personalise the world as the magnificent visual design; each carries their own distinct voice and adds another dimension, whether they be diary entries, excerpts from a play or even the lyrics to the oft-whistled “What shall we do with a drunken whaler?”. Be prepared to start whistling that ditty to yourself unawares, because it becomes a veritable ear-worm before long thanks to the fact that most of the guards will perform a rendition while on patrol. Unfortunately, they only have a few lines of dialogue, so you’ll be forced to hear two-line conversations starting with “Shall we gather for whiskey and cigars tonight?” or “Do you think you’ll get your own squad after what happened last night?” far beyond the point it gets annoying. 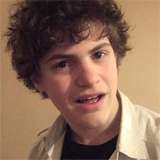 It’s either that, some comical mumbling or the aforementioned song. The fact that the tune is so ingrained in my memory betrays how forgettable the soundtrack is – the only other refrain I can recall after seventeen hours of play time is when Corvo is detected. Once that time has passed and it’s time to put the controller down, you’ll ache to pick it right back up and start playing through again. You’ll ruminate on all of the potential choices, the temptation will become too great and you’ll be all-too eager to jump right back into the city of Dunwall. At the heart of it, Dishonored is like a fractured diamond; there’s a beautiful splendour awaiting in the palm of your hands, but there are evident cracks beneath the surface that eventually become exposed and spoil the magnificence before you. Arkane Studios have created a title that allows you to play in so many methods that you can almost become bewildered by the choice, and I love how you have to specialise and commit to a particular method to get the best out of your play-through; the tools are provided for you and you’re left to craft your fate however you choose. Had there been another assassination-style mission, a less punishing stealth mode, more personality in your targets and allies, and a bigger deal made of the story and the themes it threatens to touch upon, and I’d tell you that Dishonored was a veritable game of the year. As it stands, while I’d still heartily recommend it, there’s just one too many flaws keeping it from the highest echelons of what gaming has to offer. Play your own way thanks to a smorgasbord of choice. Playing non-lethally is entirely possible (though far more morally dubious). Powers add a valuable dynamic to the stealth mechanic. Sprawling adventure that encourages you to explore and get lost in the world. While it's no graphical powerhouse, the artistic style is something to be reckoned with. 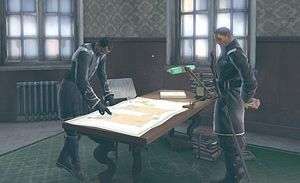 Journal and audio-graph entries help the city of Dunwall come alive in their own way. Story is underwhelming with a frustrating "still images and narration" ending. 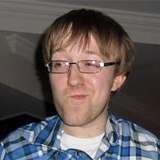 ...Giving the impression that moral choices are a binary afterthought. Stealth can feel predisposed towards your failure. Shall we prepare for whiskey and cigars tonight? *Whistles "What shall we do with a drunken whaler? "* (Repetitive guard dialogue and conversations will grate eventually). Feels like it's missing just one more open or target-based mission before the more linear ending levels start. Dishonored is so full of ambition that it's practically bursting at the seams, and the fact that it exists this uncompromised is nothing short of amazing. Sadly, ambition doesn't count for everything, and while there's an amazing city ready to explore and uncover, there are also a myriad of issues ready to leap to the forefront once you begin to delve deeper. Inconsistencies threaten to mar the stealth, but never make it an untenable tactic. The story doesn't impact upon the player as much as it thinks it does, and the moral choices feel more binary than they should when the rest of your actions feel so varied. Yet, when it all falls into place, there's nothing out there quite like Dishonored. It's a fantastic adventure and an essential play, but there's just one too many issues preventing it from being one of the defining games of the year, let alone this generation. Acoustic Gaming: The 2-Player Game-Players' Guide to 2-Player Games…. Aw man, after my half hour with it at Gamescom I was really looking forward to this blowing me away with an unstoppable force, but now it sounds more like a light breeze on a hot day. I reckon it’s still worth your money Ric but that’s based on my time with it at Eurogamer and obviously not a full playthrough. Having now finished it I can say I loved this. Highly entertaining and enjoyable throughout. I actually quite enjoyed the ending, the outsider lending his voice to what actions you took. When you said still images and narration, I thought of pictures and voice-over, not in-game stills of the Outsider realm, weaving through people and actions frozen in time. I thought that was very fitting with the overall feel of the game. I thought the soundtrack was good, creepy and effective for the style of game. It certainly could of been better but I wouldn’t count it as a negative against it. As for the guards talking, I heard them repeat one or two things twice but generally the conversation was geared towards clues about my surroundings and the story at general. I didn’t notice any repetition at all. I’d feel very comfortable giving this a eight and would consider a nine depending on how a second playthrough went.